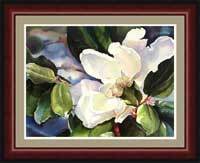 Flowers have long been a favorite subject for paintings. 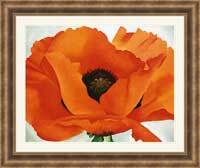 Some of the most popular art that we sell includes photographs of flowers, floral paintings, and fine art prints of such favorites as roses, magnolias, poppies, sunflowers and tulips. The Impressionists had a long-standing love affair with flowers and gardens in their art. Claude Monet immortalized the Water Lily and his beautiful paintings of his gardens are still among the world's most loved flower art. 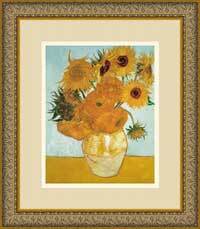 Vincent van Gogh boasted to his brother, Theo, in a letter that he was going to make the sunflower his own. The sunflower was an appropriate choice for Van Gogh. It was simultaneously homely, lumpy and awkward, and yet glorious and exalted. Georgia O'Keeffe had a famous flower series that established her reputation as an artist of extraordinary perception. She painted flowers that stopped the viewer in their tracks and exulted in an abundant sensuality. Unlike fresh-cut flowers that fade and wilt in a short time, artists throughout the ages have recognized that floral art can endure. Floral art brings the beauty of nature into your home, either with an introspective, calming approach as found in the gardens and flowers of the Impressionists, or with an in-your-face approach, bolder than life, as found in the work of Georgia O'Keeffe and many flower photographs.